Ted Cruz's campaign isn't buying the New York Times' reason for keeping the Texas senator's book off its prestigious bestseller list. HarperCollins, the publisher of Cruz's memoir "A Time For Truth," issued a statement Friday rejecting the Times' claim that there was "an overwhelming preponderance of evidence" that sales of Cruz's book "were limited to strategic bulk purchases." Cruz campaign spokesman Rick Tyler called the Times' allegation of bulk purchases "a blatant falsehood." "The Times has tried to impugn the integrity of Senator Cruz and of his publisher Harper Collins," Tyler said. He said there were long lines at Cruz's book signing tour last week. "We call on the Times, release your so-called 'evidence,'" Tyler added and to apologize to Cruz. HarperCollins said the Times was simply wrong. "HarperCollins Publishers has investigated the sales pattern for Ted Cruz's book 'A Time for Truth' and has found no evidence of bulk orders or sales through any retailer or organization," the publisher said in a statement, which was first reported by BuzzFeed. The Times spokeswoman Eileen Murphy said Friday the paper is standing by its earlier statement. "A Time For Truth" was released on June 30. 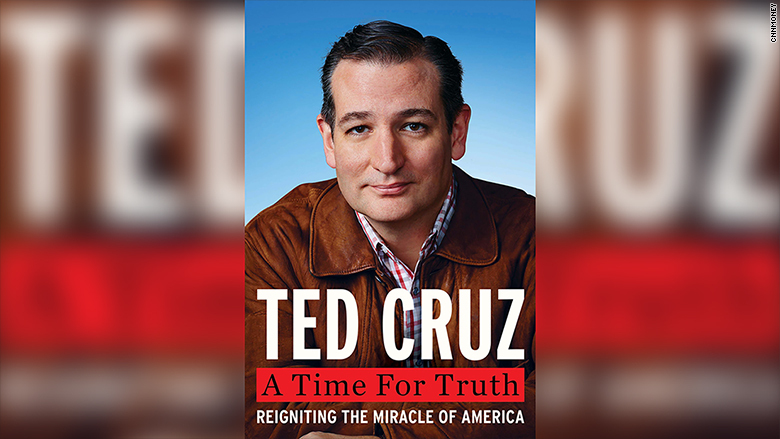 It's been billed as "a book that will win Ted Cruz few friends in Washington." Cruz, one of more than a dozen candidates vying for the Republican presidential nomination, reportedly landed a $1.5 million advance from HarperCollins -- a total that even eclipsed Sarah Palin's book deal. The dispute over the Times' refusal to include Cruz's book on its bestseller list was first reported by Politico. In the statement, HarperCollins noted that Cruz's book is "ranked high on other publishing industry bestseller lists," including Nielsen Bookscan, The Wall Street Journal and Barnes and Noble. Each one of those lists, HarperCollins noted, "omit bulk orders books from their rankings."